VIVID Colored Cloths (WPC) | Coffee fuels my photography! Strolling around Granville Island, Vancouver last week, I couldn’t resist walking into the Cloth Shop for “old times sake“. On seeing all the beautiful fabrics, this week’s Weekly Photo Challenge, VIVID, came immediately to mind! The memories evoked simply walking around this store were incredible. You see, my father’s retirement and my birthday were just weeks apart and with my parents moving back up to their house on the coast, I was being left in the city to complete my studies. This move wasn’t my mother’s idea of a good time at all hence my birthday gift that year was a two-door 30-year-old car. She wasn’t much but she drove well and she was mine (and the stories the car could tell if only she talked…). However, this car came with ONE stipulation… when mother was in town, I was to drive her WHEREVER, WHENEVER she wanted. Hence many a week-end was spent at patchwork shops all over the city. Not that I really minded as between the colors and the creations, there was more than enough to keep me occupied! Ahh mothers ! Mine makes patchwork blankets too and we used to delight in picking the squares when we were little. Lovely! 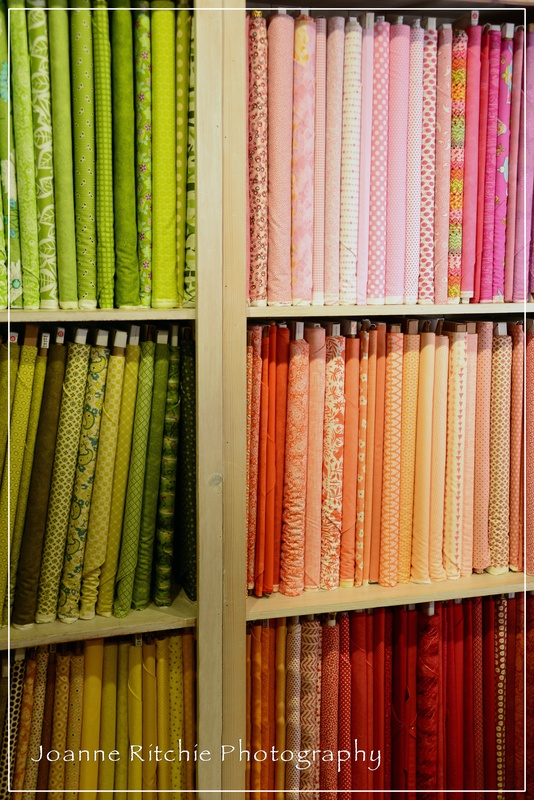 This reminds me of the fabric shops I used to trawl when I was younger, I wanted to buy everything! What a lovely nostalgic story. And a beautiful photo.